Lenders Mortgage Insurance (LMI) is a payment made by the borrower to the lender and is designed to protect the lender in the event that the borrower defaults on their loan and is unable to make their loan repayments. When will I need to pay LMI and how much will it cost? 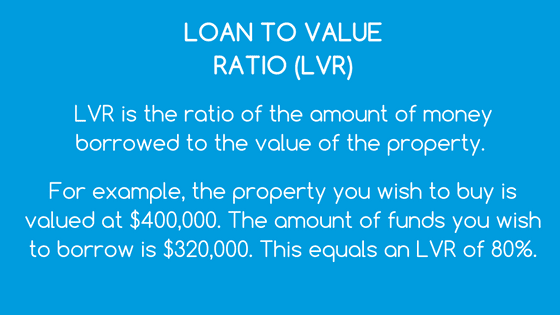 If you have a Loan to Value Ratio (LVR) of more than 80% then LMI will apply to your loan. It is difficult to estimate how much your LMI will be as it will depend on a number of factors including your LVR, so an accurate cost can only be given once you have found the property you wish to purchase and you have chosen your lender. Each lender will have their own policy of when LMI is required and how much it will cost. Can I avoid paying LMI? You sure can! You will need to save for a bigger deposit so you will need to weigh up whether to buy now or delay your purchase. If the market is strong, house prices could rise and so paying LMI now could be cheaper than the extra savings needed to secure a property in another year or two’s time. Another option if your LVR is above 80% and you wish to reduce it, is to have a guarantor who can provide some extra security to reduce your LVR to 80%. If you wish to refinance your loan, your LMI is not transferrable. If LMI applies to your new refinanced loan then a new LMI premium will apply.